Valentino Rossi heads into the final round of the 2015 season with a seven point lead; can he take his tenth title? The MotoGP™ World Championship have returned from Asia for the final round of the 2015 season at the Gran Premio Motul de la Comunitat Valenciana. Valentino Rossi has maintained his lead in the championship, currently seven points ahead of Movistar Yamaha teammate Jorge Lorenzo. After the issues of the Malaysian GP Rossi is focused on what will happen on track, wanting to work to the best of his capabilities in order to take a tenth world title, his eighth in the premier class. The decision of the CAS looms and could alter his weekend greatly. Rossi took his last win in Valencia back in 2004 and although he has almost always achieved solid results, disaster has also struck at the Cheste track for The Doctor. The 2006 edition of the Valencia GP is memorable for all the wrong reasons for Rossi who saw the 2006 MotoGP™ World Championship slip away from him with a crash while fighting for the top six. 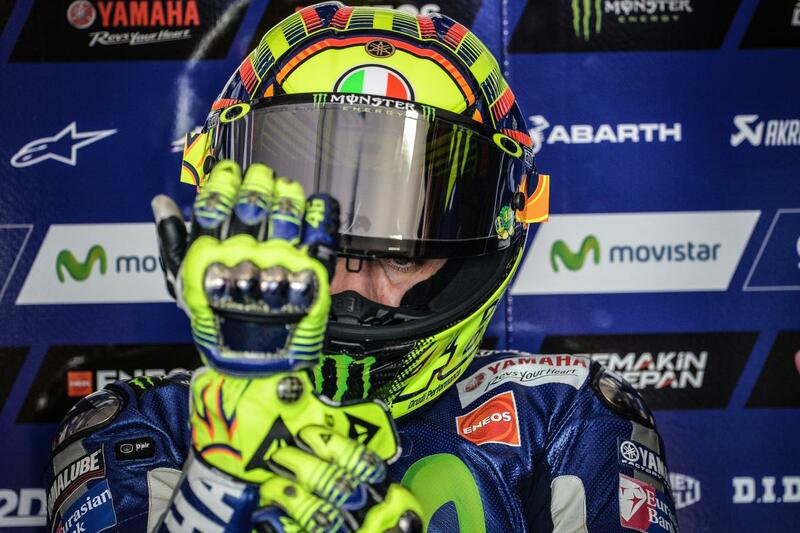 This is just the second time in his premier class career that Rossi has had to fight for the title in the final race. My goal is to work at my best capabilities with my team and make the most of every session to get to the race on Sunday with everything I need to express myself in the best way possible.